Before starting, could you talk about yourself? I am Youn-Mi Song Angela. I came here to offer counseling services and psychological support for the international students. I have experience as an international student for 8 years in the Philippines. So, I can understand many foreign students’ difficulty. For example, one of my friends, who was a Chinese foreign student, had attempted suicide. I was very surprised because she was such a smart student and good at communicating in English. The problem however was cultural difference, not language. For example, the teaching method is totally different between China and the Philippines. So, she felt lonely and depressed from these differences, and had to give up her studies. I also had a counseling internship in Manila. 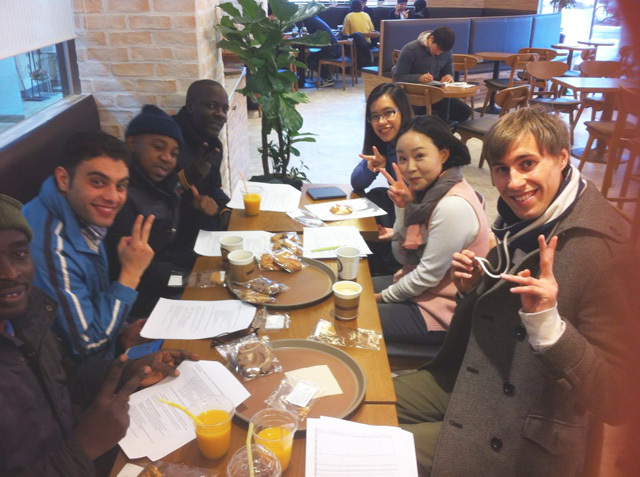 My clients were foreign students, and I think the reason why I am here is because I have this kind of experience. What was your first impression of KOREATECH? When you enter a new place or see new people, you can feel a particular. I felt positive energy when I first came here. So, I like this university and think it will be a good fit. Can you explain more about the counseling center? The Counseling and Career Center offers the services of professionally qualified counselors to help students find comfort and happiness in students’ lives. The Center is open to current students at the KOREATECH as well as all other faculty members of our university. Our purpose at the counseling center is, firstly, to help students adjust to campus life. And then, support students who have problems related to mental health and issues between other students. We also support career planning. Through this step, helping students with adjusting to campus life and finding their career paths are our ultimate goals. For this purpose, we operate various counseling programs. In order to enhance mental health and make a crisis counseling system, we have Individual/Group counseling and psychological tests, and support for adjusting to campus life, especially for students who are put on academic probation. We also provide an outreach service, student counseling e-guides for professors, lectures for mental health, outdoor counseling event and counseling for international students, which is my specific area of expertise. In research and investigation activity, there are surveys about freshman life and enrolled student life and publication of a journal of student life studies. For career planning support, we have a program called “KOREATECH START” during freshman orientation. This program is for setting freshman’s career goals. And we assigned “Campus life and Vision” as a mandatory class for freshman. Lastly, the gender equality clinic includes programs for; counseling victims and assailants of sexual harassment or violence, developing healthy sexual consciousness and the sexual harassment or violence preventive education. For detailed information, please check our homepage (counsel.koreatech.ac.kr). And we prepared a MBTI and psychological test in English for international students and we have a plan for offering other programs in English. Also, through surveys and interviews with international students, we will make a database and utilize this data. 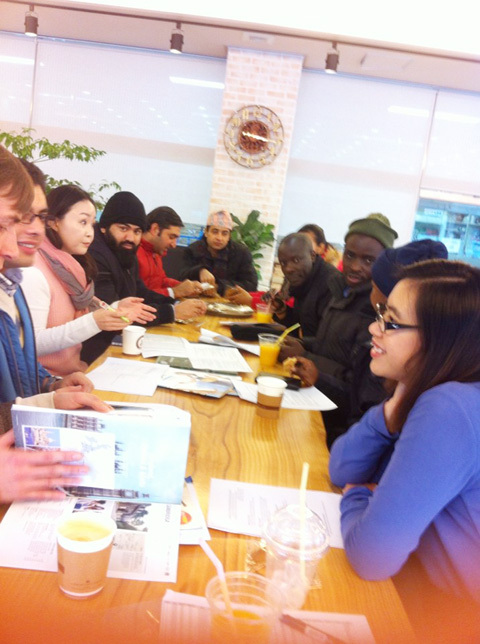 I think a foreigner counselor in the university is very special opportunity for University. Do you know any other schools that offer this sort of counseling of foreign students? I don’t know about other universities as well. Foreign students are a small community and budget for counseling is limited. This new position can become a good start and bring change to our society. We will provide information, intake interviews, personal/academic/career counseling, cultural adjustment issues (cultural, adjustment, homesickness, discrimination), Crisis Intervention, Psychological Assessment, consultation, and any other programs for students’ specific needs for international students. Compared to other university, KOREATECH is a small community. So, sometimes students have difficulty in getting privacy. I think foreign student can be more vulnerable for handling their sensitive issues. Before beginning a counseling service for a student, we write a contract for confidentiality. Except for special cases such as, when we assess that a student may possibly cause harm to himself or other people. In those cases, we have to notify other departments. How can students apply to get their counseling? Students can contact me by phone or email ( ally2513@hotmail.com ) and make an appointment with me to have an intake interview. If a student feels uncomfortable to visit this center I can visit anywhere they want. The interview will take about 20-30 minutes. Counseling services will be offered to international students from December 22, 2014 and will be continuously offered after January 15, 2015. Students can choose a date and time: Dec 19, 22, 23/ Jan 15, 22, 29/ Fed 4, 12, 17, 26 from 9am to 5pm. I want to hear your future plans at KOREATECH. Our team is currently planning for ways to further our support for international students, and as I said before we plan to offer all of our current programs fully in English.